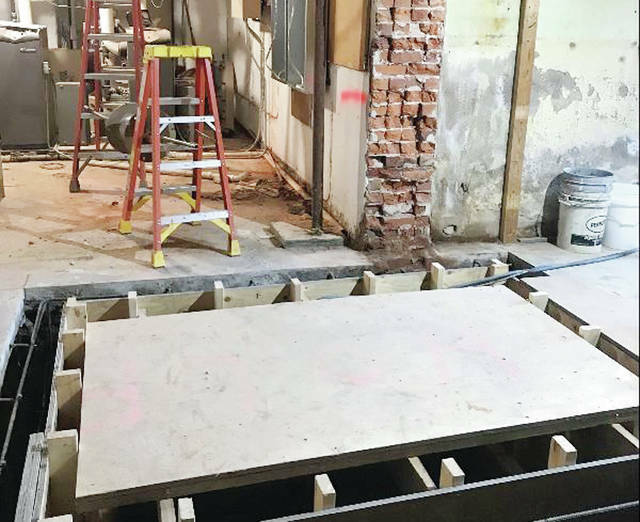 The old Fulton County Courthouse elevator has been removed from the facility during the ongoing year-long renovation but the shaft remains open. The elevator will be replaced by an updated model. This photo is featured on an online blog about the renovation project provided by Toni Schindler, marketing and communications director for the Fulton County Commissioners, and found at fultoncountyoh.com. https://www.swantonenterprise.com/wp-content/uploads/sites/23/2019/01/web1_courthouserenovation.jpgThe old Fulton County Courthouse elevator has been removed from the facility during the ongoing year-long renovation but the shaft remains open. The elevator will be replaced by an updated model. This photo is featured on an online blog about the renovation project provided by Toni Schindler, marketing and communications director for the Fulton County Commissioners, and found at fultoncountyoh.com.